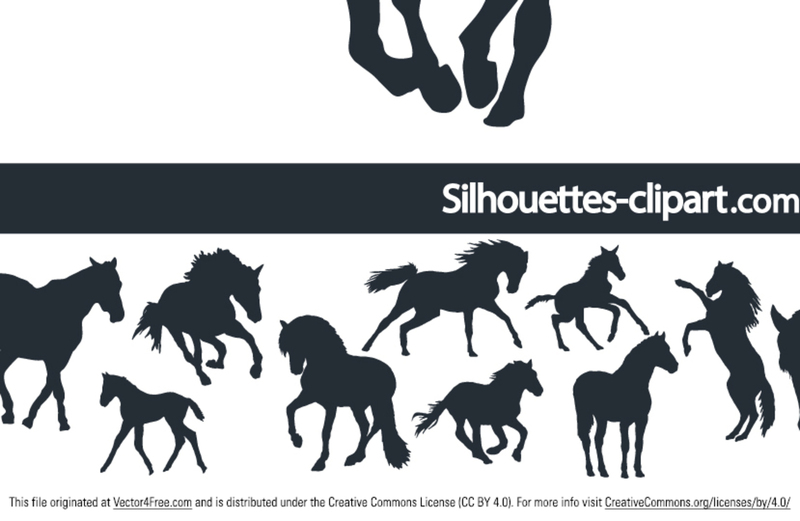 Need a bunch of wild horse silhouette vectors? This new free horses silhouette vector collection is isolated on a white background. ZIP archive contains AI and EPS formats of these horse vector silhouettes.